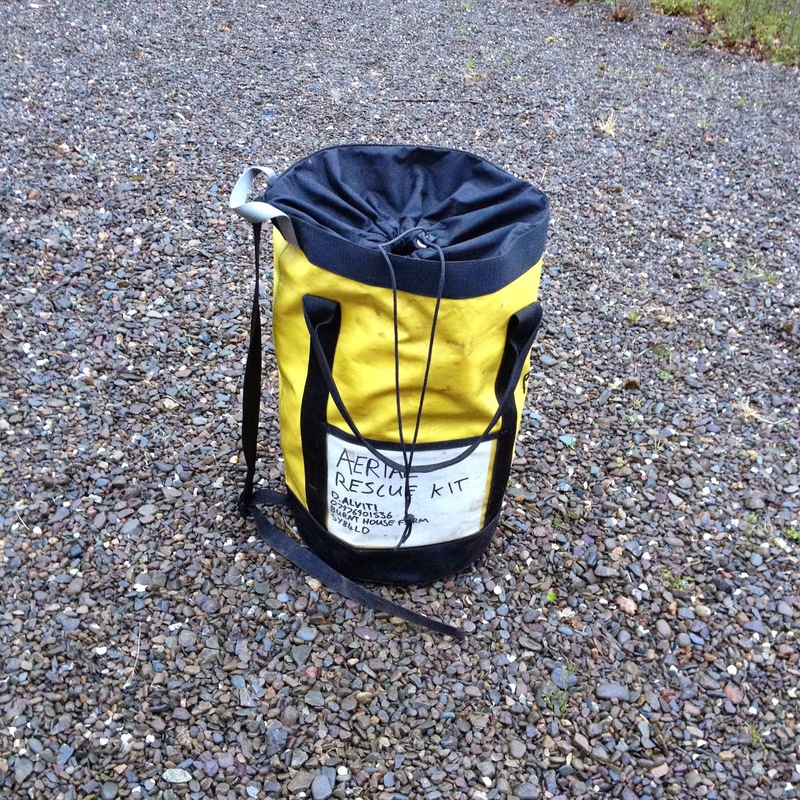 With the main line loosely stacked into the bottom of the bag with a blakes hitch pre tied. 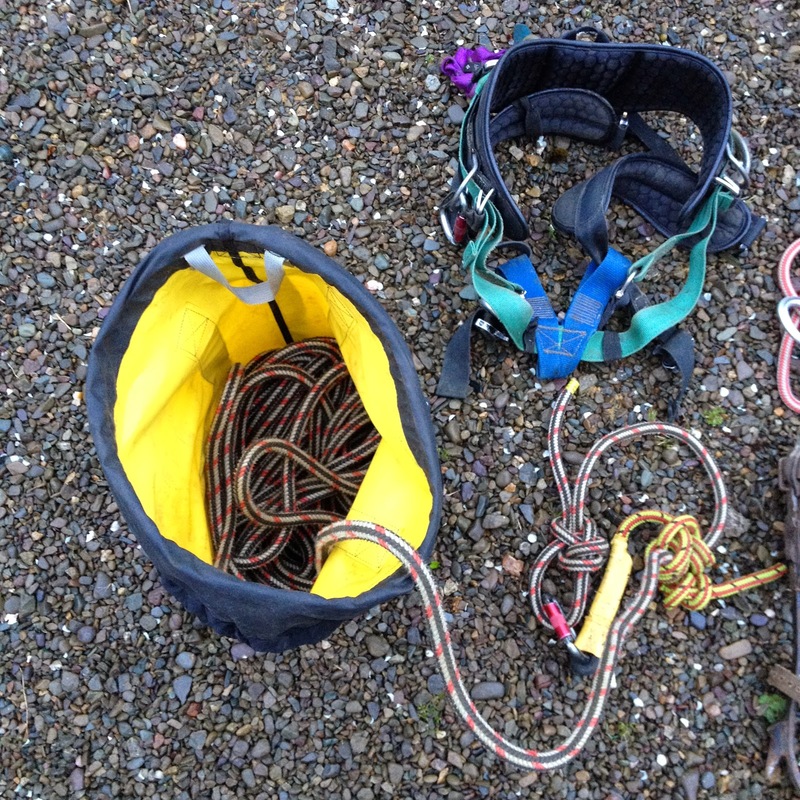 Attached to the harness are a couple of slings, some extra crabs and a folding knife, first aid kit is on the list of things to buy. 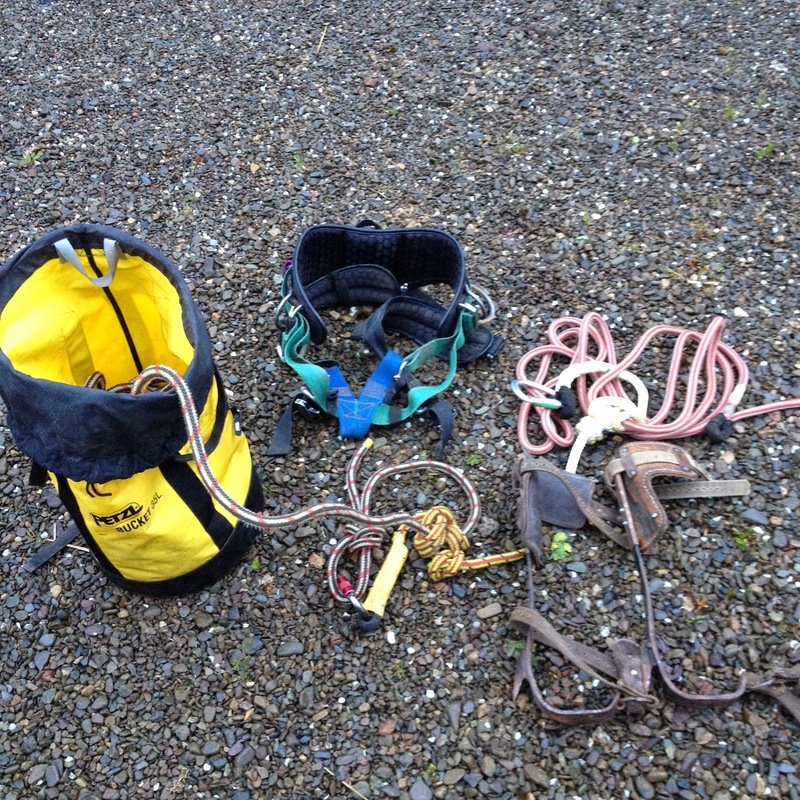 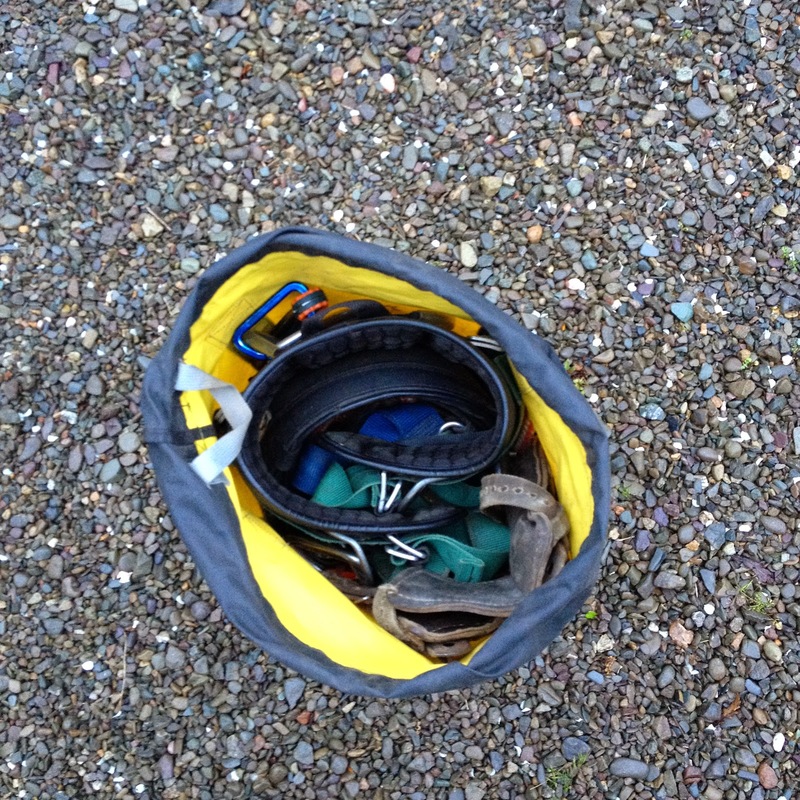 Ant one else have a dedicated ariel rescue kit, or do you rely on spare/second climber kits?